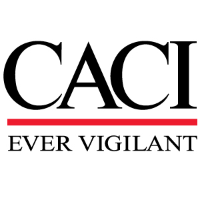 CACI is seeking a Cyber Security Information Assurance Manager Level II to join our team in Fort Bragg, NC. The ideal candidate will be responsible for the Information Assurance program of Information Systems within the Network Environment (NE). The candidate will perform a variety of security related tasks, including the development and implementation of system information security standards and procedures. The candidate must ensure that information systems are functional and secure within the NE. Perform as the Information Systems Security Manager (ISSM) for Federal systems. Lead security authorization processes and procedures. Recommend security best practices and system configuration standards. Write System Security Plans, Plan Of Actions and Milestones (POA&Ms), Risk Assessments, Privacy Impact Assessments (PIAs), and supporting documentation for systems subject to NIST SP 800-53. Achieve and maintain ATO (Authority To Operate), as required. Develop, implement, and evaluate security Concept of Operations (CONOPS), System Security Plans (SSP) and to satisfy Assessment and Authorization (A&A) requirements in accordance with NIST 800-53, FISMA, Risk Management Framework (RMF) and other government guidelines, as required. Writes BC (Business Continuity)/DR (Disaster Recovery)/CP (Contingency Plans)/COOP (Continuity of Operations) plans, test plans, and test reports for federal systems. Advises leadership on cyber security risk management, security strategy, security project planning, and security architecture. Perform IS security briefings, report all security incidents and investigate, document and report, as well as provide protective and corrective measures in response to such incidents. Coordinate and participate in special projects concerning information security, including testing and implementation of security software enhancements. Maintain a broad knowledge of technology, equipment and/or systems to include the configuration, maintenance, analysis and use of computer forensics tools, steganography and metadata tools, audit reduction tools, firewalls, various operating systems, and phone switches. Interface with appropriate government agencies, company management and employees, customers, vendors, and suppliers to ensure understanding of and compliance with security requirements. Implement and apply technologies, processes, and practices designed to protect networks, devices, programs, and data from malicious attack, damage, or unauthorized access. Maintain network device and information security incident, damage and threat assessment programs. Investigate network device and information security incidents to determine extent of compromise to national security information and automated information systems. May provide intrusion support to high technology investigations in the form of network assessments. Researches and maintains proficiency in tools, techniques, countermeasures, and trends in computer and network vulnerabilities, data hiding and network and device security and encryption. Performs duties in support of in-house and external customers. Designs, develops or recommends integrated system solutions ensuring proprietary/confidential data and systems are protected in accordance with mandated standards. Participates with the client in the strategic design process to translate security and business requirements into technical designs. Configures and validates secure systems, tests security products/systems to detect computer and information security weakness. Generates security architecture documentation. Provides critical written and verbal analyses of previously generated security architecture documentation and vulnerability and risk assessments. Designs and implements plans of action and milestones to remediate findings from vulnerability and risk assessments. Provides information assurance for digital information, ensuring its confidentiality, integrity, and availability. Responsibilities include the granting of authorization to operate IT systems at acceptable levels of risk, monitoring and testing of IT systems for vulnerabilities and indicia of compromise, incident response and remediation, the development of appropriate policy, relevant user security awareness and training, and compliance with applicable government and other external standards. Be able to obtain a CI Poly. Must have at least 5 years of management experience. Extensive knowledge of the Certification and Accreditation (C&A) and NIST RMF processes. Technical Writing experience (creating/updating IA policy & procedure documentation); Excellent written and verbal communication skills with strong presentation abilities; Must be able to work well on independent engagements as well as within a team setting; Strong client presence and interaction abilities; Excellent understanding of common computing platforms, including Windows Server, RedHat Linux Server, and vendor specific appliance support; Some understanding of military hierarchy.